How the upcoming election affects the Canberra Jobs Market. In May 2019, Australians will head to the polls to vote for their preferred political party. 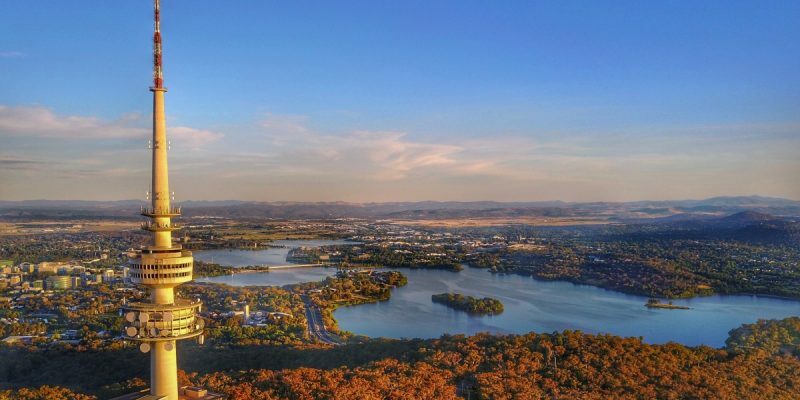 But the impending federal election has more widespread effects in Canberra, with changes to the local job market before, during and after an election. So what can we expect in the coming months? Before an election date is officially called, federal government departments are busy getting their teams in place in time for the caretaker period. They need to ensure the resources they require are on hand, because once an election date is confirmed, recruitment is often restricted. Restrictions during the caretaker period mainly apply to ‘significant appointments’, such as a statutory office. Despite this, we do sometimes see a general slowing of recruitment decision making across our government clients. If you are currently seeking work in the public sector, or are on a contract nearing its end, you need to make plans now. There is a small window before the election date is announced and caretaker period officially commences to secure a contract extension, or take on a new contract or permanent role. We predict the election will be called for mid-May, and caretaker period will commence around mid-April. The House of Representatives has a maximum three-year term but may be dissolved at any time by the government. Historically, only one House of Representatives has lasted the full three years. When the House is dissolved or nears the end of its term, an election is called and the government enters “caretaker mode”. Caretaker mode continues until the election result is clear or, if there is a change of government until the new government is appointed. Caretaker mode recognises that, because the House is dissolved, the Executive cannot be held accountable for its decisions in the normal way, and that every general election means a possible change of government. During this time, there are very few major commitments or decisions made – including recruitment. Outside of high priority roles, it can be very difficult to find work in the public sector during the caretaker period. Private companies that contract to the government can also slow down at this time. Private industry hiring, in general, should continue as normal, although some consulting firms may choose to see “the lie of the land” before continuing to hire aggressively as they have been. Canberra’s private sector has boomed over the past 5 years and our local job market should not suffer as much during a federal election as it might have done in the past. However, private companies are wary of candidates looking to “fill time” in permanent roles while they wait for a public service opportunity. If you are out of contract and don’t have the financial means to tide you over during the election slowdown, keep in mind that those hiring in the private sector may be extra cautious when the public sector is in caretaker mode. The time to look is now! How fast the government returns to “business as usual” depends on which government wins the election and their approach. If the incumbent government wins, everything should return to normal hiring activity quite quickly. If a new government comes into power, it may take a little longer for them to appoint their key people and get organised with the business of governing. Current predictions indicate a return to a Labor government and a 6-8 week extended period of slowdown after the election result is announced. If the Liberal Party win, we anticipate less than 4 weeks before normal recruitment activity recommences. Typically, a coalition government means a busy market for contingent workers with a lot of contracts on offer. The current Coalition has a mandate around decentralisation, which also includes decentralising government agencies so there are more located in regional areas. The Labor government don’t typically like contingent workforces due to their union affiliations. If they win the election, we will likely see a move towards more permanent employment in the public service over time, and a decrease in contracting and other flexible working engagements. It remains to be seen whether decentralisation to regional areas will remain a priority. For more predictions, see our bi-annual jobs market update. Job seekers have a small window to secure employment in the public sector before the 2019 election date is confirmed, a matter of weeks. Public service recruitment (permanent and contracting) will slow dramatically during the caretaker and election period. The length of time taken to return to “business as usual” depends on whether the incumbent government stays or a new government takes over. Are Your Budget Practices Actually Costing Your Organisation More in the War for Talent? Standing Toe to Toe: to Disclose Your Salary or Not?